maybe festival is an overstatement. 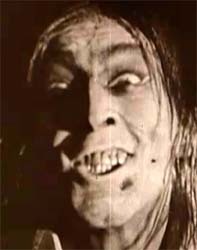 I watched the 1920, 1931 and 1941 film versions of the Robert Louis Stevenson classic. 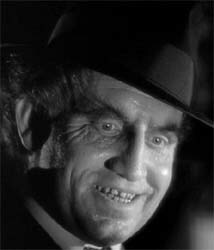 There have been about five TV movies, six or seven short versions, many television episodes with the Jekyll and Hyde theme from Suspense to The Jack Benny Program to Climax and reels of other Jekyll-Hyde tributes. The three I watched, I believe to be the quintessential versions. 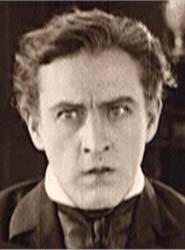 Barrymore’s version was less dependent upon special effects and appliances than on his own ability to distort his features and his body. By today’s standards, his transformation from the good doctor to the evil predator is primitive camera work; yet the effect is nonetheless chilling. portrayal of Jekyll is of a driven scientist in love with Muriel Carew. 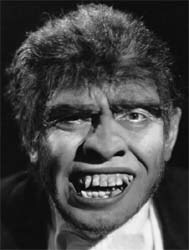 The special effects makeup by Wally Westmore cast Mr. Hyde with a simian appearance, obviously revealing him to be a throwback to humanity’s earliest days. The primate influence is markedly evident in the last act of the film when March vaults over railings, swings on pipes and, in the finale, climbs a towering bookcase with all the zeal and skill of a chimpanzee. The film is excellent, Hyde is a beastly villain, a sexual predator and a sociopath without remorse or pity. My problem with the portrayal is not March’s performance, far from it. No, it is the makeup and, especially the teeth. Whenever I view it, Hyde’s oversized, crooked teeth remind me too much of the prosthetic teeth Jerry Lewis often wore in his various routines. Still, this version is well worth your time. In 1941, Spencer Tracy agreed to play Jekyll and Hyde with Lana Turner as his Jekyll’s fiancée and Ingrid Bergman as Ivy Peterson, the music hall singer who become Hyde’s prisoner and sexual slave. Miriam Hopkins played Ivy in the 1931 version and was quite sympathetic. However, Bergman’s performance is superb, a portrait of a desperate woman trapped by a beast. Tracy’s performance as both Jekyll and Hyde is flawless. 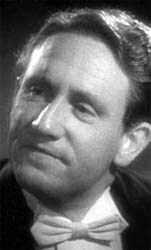 In later years, he regretted having played the role, but in the film he demonstrates his talent and skill. Hyde is less the monster than he is the evil man and Jekyll is sympathetic in his naïveté and youthful drive. His performance is masterful and one of his most masterful screen rolls. Taken as a whole, the three films form a fascinating triplex that features three screen legends interpreting one of literature’s most iconic and tortured characters.